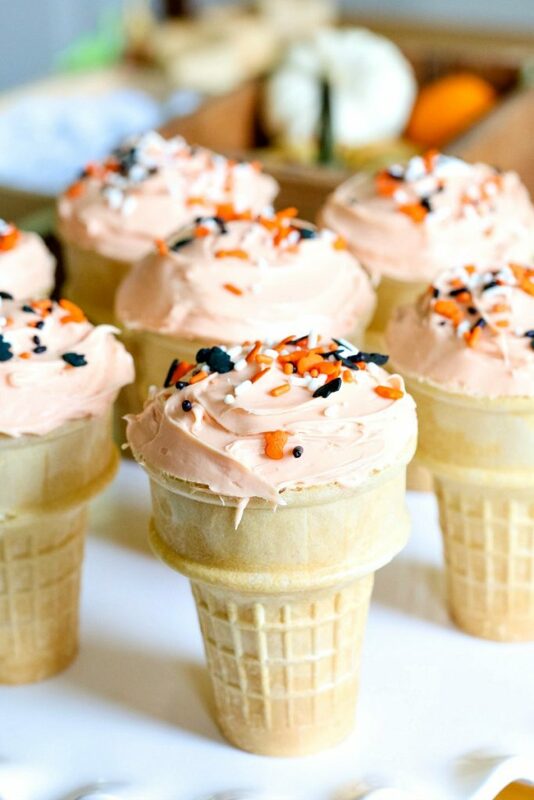 Try out these Halloween Ice Cream Cone Cupcakes the next time you need a fast, easy and delicious Halloween Treat for your kids! One of my favorite things about the holidays is the fun treats we get to make – starting with Halloween! YAY! 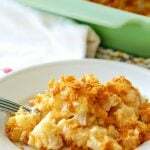 Halloween is such a fun time for dressing up and making all kinds of spooky and delicious food. 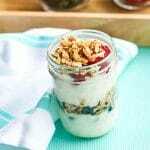 Sometimes I like to whip up a treat for the kids that doesn’t take a lot of time but looks like it did! 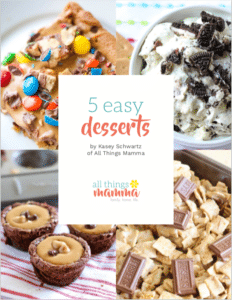 Plus when it tastes amazing – bonus points for mom! 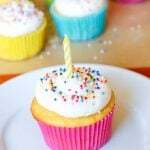 Today I made these fun Pillsbury™ Funfetti® Ice Cream Cone Cupcakes and I’m going to show you just how easy they are to make! Look how adorable they are! 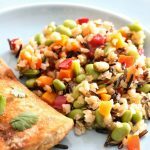 AND they were super easy! 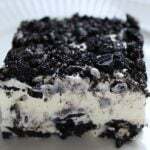 AND they were made with a box mix and frosting! 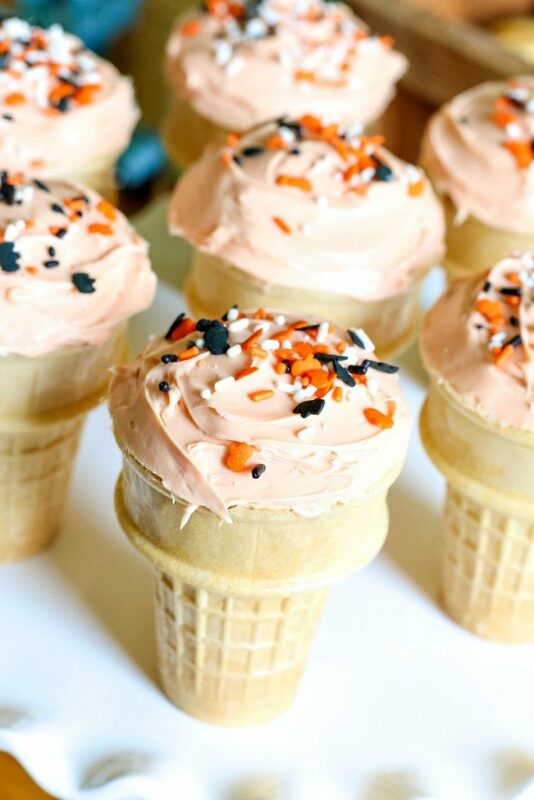 Here’s how to Mix Up A Moment by making these Halloween Ice Cream Cone Cupcakes for your own kids! 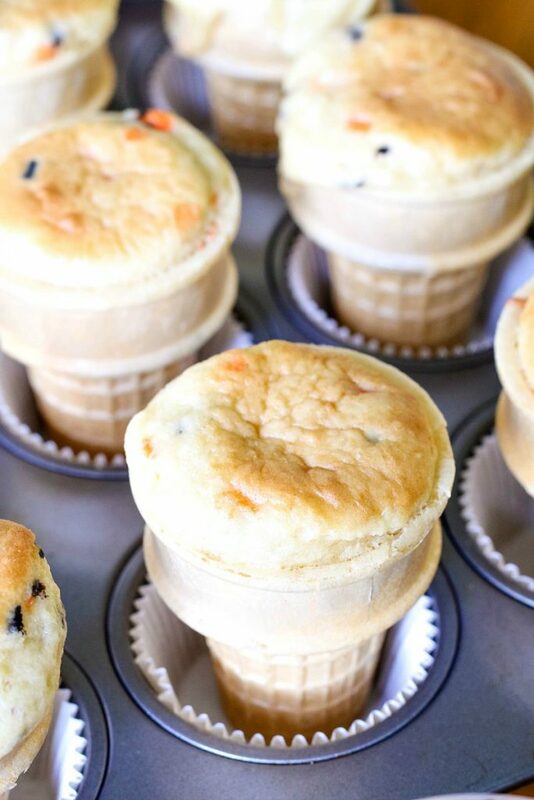 Start by lining a 12 cup muffin pan with cupcake liners and add normal ice cream cake cones to the pan. Then, take the Pillsbury™ Funfetti® Halloween Cake Mix batter that you’ve made just by following the directions on the box and add to the cones. 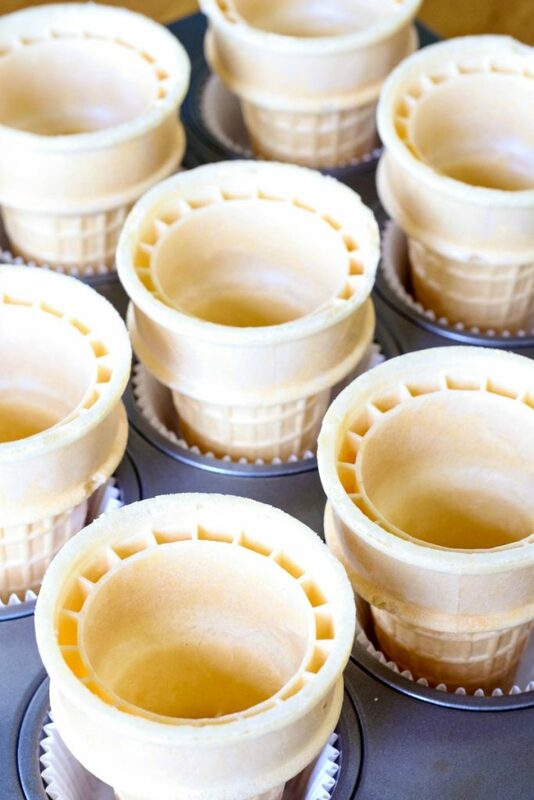 Be sure to leave an inch or so from the top of the cone so that it has space to rise. 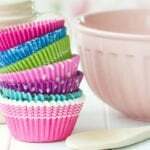 But don’t worry if some of the batter overflows when you bake it, you can cover that right up with frosting! YAY for little tricks that make things look perfect that really aren’t! Ta-da! 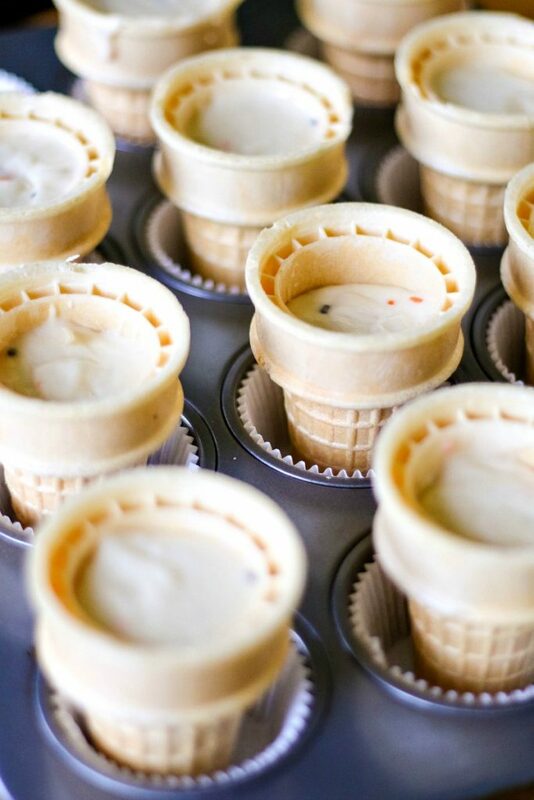 Here’s the cones that you just put right in oven and bake like you would normal cupcakes. 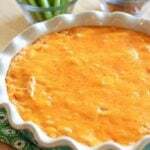 They come out just as good! 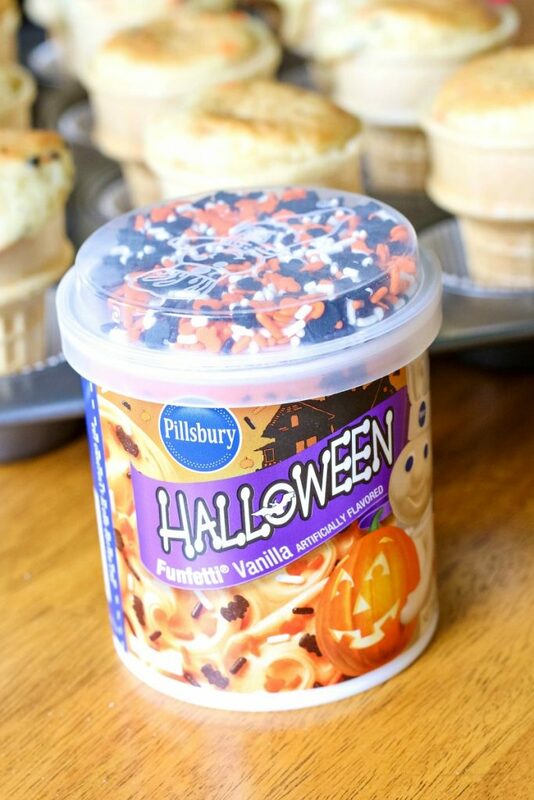 You could whip up some homemade frosting and frost these sweet Halloween treats but using Pillsbury™ Funfetti®Vanilla Flavored Frosting is the way to go for ease and taste! PLUS if you buy the Halloween frosting, it comes with sprinkles, too! Look how fun and festive! 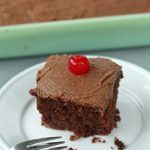 I just used a small spatula and added frosting right on top of the cake for a homemade look and feel – sprinkle on some of the Halloween sprinkles and you’re done! 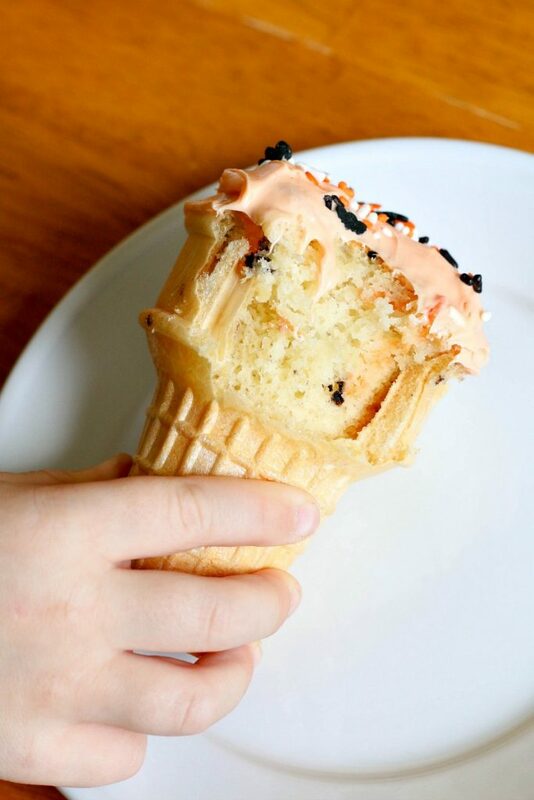 Then all you have to do is just keep the little hands away from the rest of the Halloween Ice Cream Cone Cupcakes while you finish decorating them! 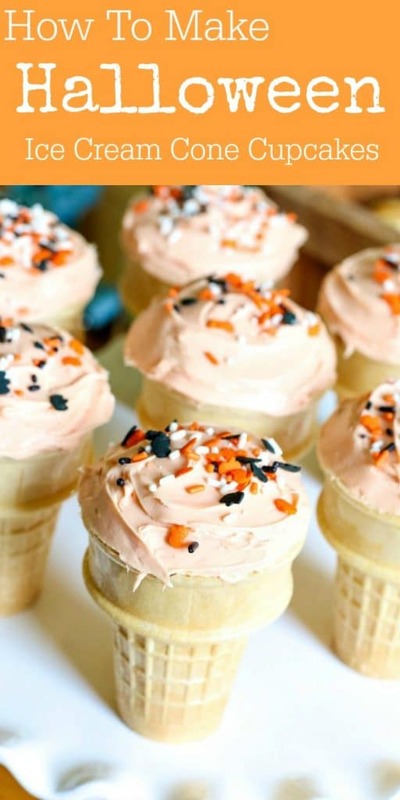 Not so easy with these fun Halloween Ice Cream Cone Cupcakes! 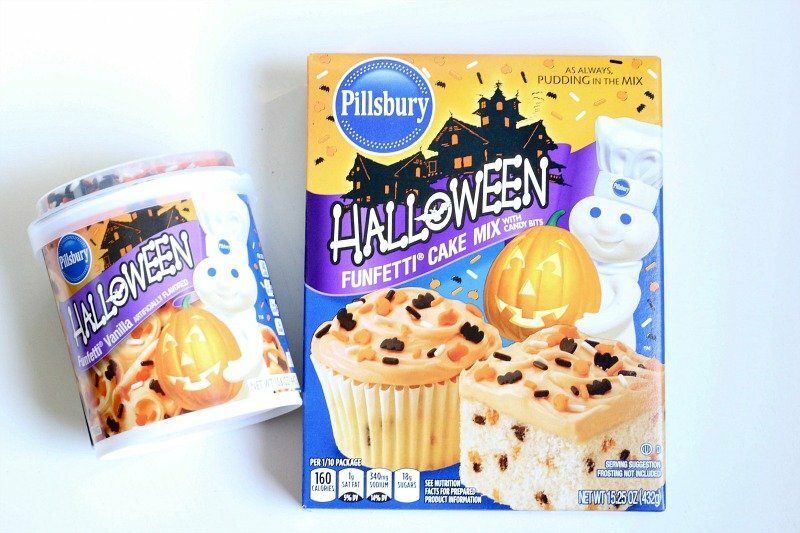 I picked up the Pillsbury™ Funfetti® Halloween Cake Mix and Frosting in the Halloween Bake Center at Walmart! 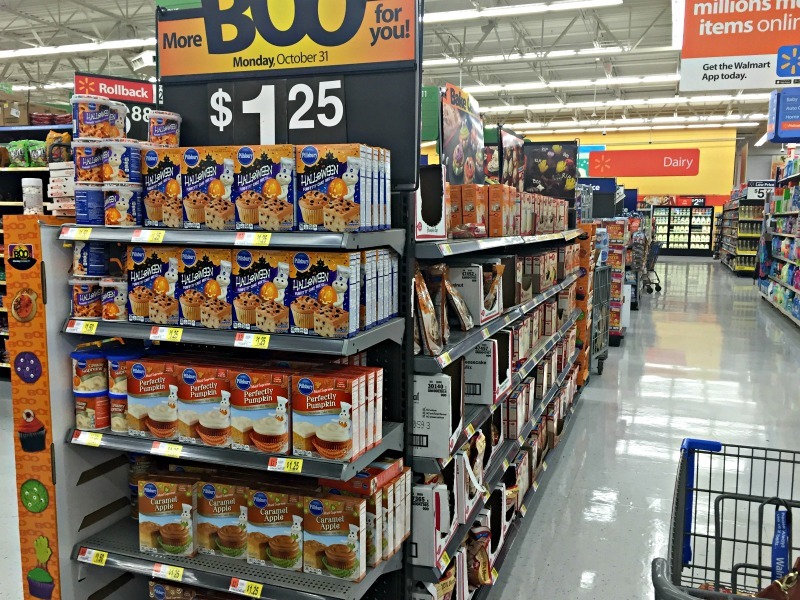 There’s a whole section in the center of the store near the regular Bake Aisle so that you can find seasonal baking items easily! 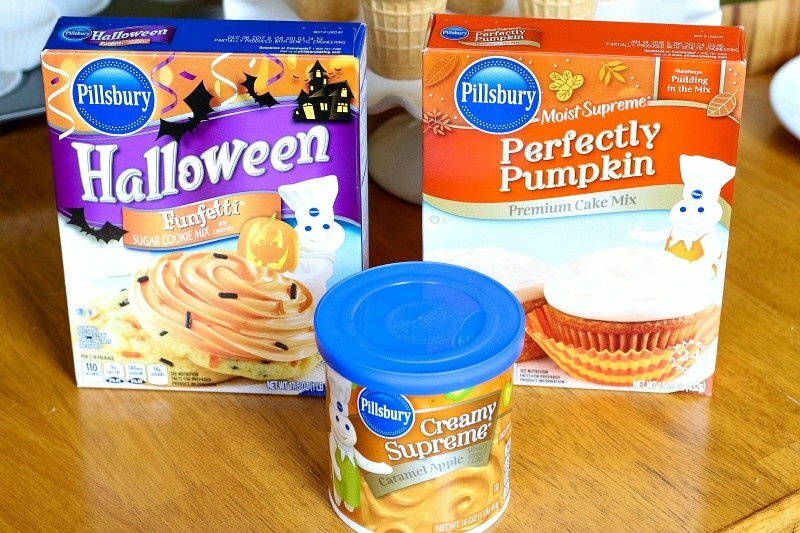 I even picked up a few more mixes for when we need more treats this fall! 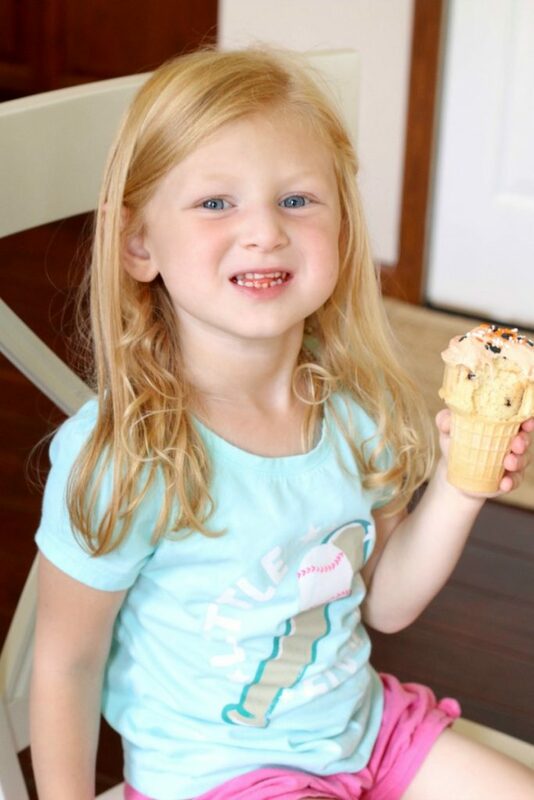 My youngest, Sydney, couldn’t wait on big sister and brother to get home from school to try our Halloween Ice Cream Cone Cupcakes and I didn’t think it was fair making her wait! 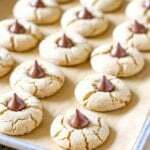 And for more fun baking ideas, check out the Pillsbury Pinterest Page!